London Resort filed their confirmation statement yesterday (just under a month and a half late) and also got their website back up and running. So there is again some life in this project. Edit: I also find it amusing that they have a couple of free phone numbers listed. Whereas Merlin has a whole host of premium rate numbers, non-geographic ones if you create enough and I believe a single free phone number for VIP pass holders! The confirmation statement is a yearly report required to ensure that the information the government holds on the company at Companies House is accurate. This is things like address and people with significant shareholding. It's a criminal offence to not file it and can lead to fines on the directors and steps being taken to force the company closed with any remaining cash or assets being forfeited to the crown. So it basically means that they intend for the company to still exist. It should be noted that the company has had a few cases where Companies House have taken the first step to forcing them closed, where you can infer your own thoughts of those actions. Will the London Entertainment Resort Ever Happen? The project was announced on 8 October 2012 but has been pushed back many times. Many fans are questioning whether it will ever actually happen. Do you think the London Entertainment Resort will ever be built? Last edited by Chris on Thu Aug 30, 2018 10:05 pm, edited 1 time in total. Reason: Merged with general discussion as your post did not require its own topic. Yes it has taken a long time to plan out, but let’s just think.. this isn’t just a theme park, it’s a resort.. the park, hotels, shops, parking, transportation, etc. This all has to be planned out, because come opening day and it all flops.. then what’s the point in that massive investment? I’m sure someone said 6 IP’s were already being considered, or confirmed? think it was considered.. 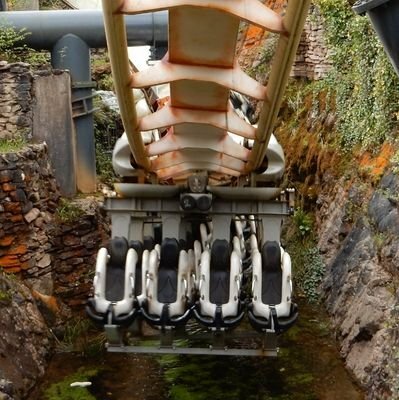 The UK is crying out for more entertainment in this catagory, as your main theme parks are always too expensive, but then your smaller theme parks are cheap, but don’t invest in rides that often. I do genuinely believe if this resort was to be made, this would be a major competitor to Merlin theme parks as it will include new, fresh designs and ideas from across the pond most likely. Thing is.. I don’t understand why a company like Universal Studios haven’t taken a chance in the UK.. As I’m sure most Universal products are sold in the UK the most behind USA?! Either way I hope this project does happen, it is just a matter of having to wait.. I think we will be pleasently surprised when things start rolling. Appears that there has been another filing for London Resort at Companies House. It appears they have appointed another director. The cynic inside of me wonders if you could get a bunch of investors to put up 7 figure sums, to stick that in a bank account, every few months spend a few hours filling some official looking documents to appear on government sites and get a few local news headlines, then just sit back and take a wage from the investment. Just keep doing enough activity to keep the investors off your back but not enough that the project is forced to move forward. 10 years pass, you say to investors "turns out market conditions are no longer right for this, but you've only lost 5% of your investment..."
Massive projects move at glacial speed but not this slow. 6 years and the only real plans we've seen are the ones shown off in the initial announcement. It's really hard to see this happening. Disney didn't take that long to design and build Disney World and they had to drain a swamp for that. The cynic inside of me wonders if you could get a bunch of investors to put up 7 figure sums, to stick that in a bank account, every few months spend a few hours filling some official looking documents to appear on government sites and get a few local news headlines, then just sit back and take a wage from the investment. Just keep doing enough activity to keep the investors off your back but not enough that the project is forced to move forward. I mean you could, but then that would usually result in people going to jail for defrauding investors. My guess is that's definitely not what's going on here. I believe that it might be alot easier to build these projects in the US than in the UK, especially back when Disneyland was created - we unfortunately have a-lot of health and safety and paperwork these days. Every country has a strict permitting system, and the UK's is a lot less proscriptive than others. We tend to have high standards that you say you'll adhere to - it's up to the developer to meet them: the local authority won't double check every single element before work starts. In fact, the NSIP path that this is taking might even help this development get around some of the more nimby-ish tendencies of UK development. I think that Universal will ultimately end up taking the helm here as another Wizarding World outpost. It's likely the only IP (if we must use that term) that can draw a significant audience from across Europe and maintain the park's popularity over the decades needed to recoup investment. And let's not dwell on the potential impact of Brexit on the construction and leisure industries. Is there any truth to this Universal Studios London rumour? It seemed to have sprung out of the blue? It's all speculation at the moment. With the park's intention to be a large resort that rivals Disneyland Paris from the start, then a company like Universal who can bring a lot of attractions, IP and know-how, would be a very good fit for the development. The other option for a single studio investment I can see is Warner Brothers. Universal have already tried once in Europe and pulled out, but with Disney increasing the investment in Paris, they may want to have another try. However, I'm not sure they would be able to use any Harry Potter IP in the UK, as Warner Brothers already operate an attraction with that IP in the UK. Given the value of that IP, I could see Warner Brothers investing and making their own version of the Wizarding World. This is all of course if the project goes anywhere. As far as I’ve read Universal have exclusive theme park right for Harry Potter so I can’t see WB building their own Universal. They have Harry Potter as a major part of their Hollywood tour and Hollywood also has a Wizarding World so I don’t see it out of the realms of possibility - especially when all the merchandise from the UK Tour is made by Universal. As of yesterday (19th September), it's been a full 12 months since the last official press release from London Resort Company Holdings. Their Facebook page has also been seemingly abandoned with no posts since 19th September last year. Whilst there was a project update meeting with the planning body last March, there doesn't appear to have been any further news since. I'm beginning to think that things are almost at the point where this project will go one of two ways - either we'll get an announcement detailing either a new partner for the project, or the long awaited final public consultations, or we'll get an announcement that the project isn't going to be progressed any further. Either way, LRCH need to say something one way or the other soon. Interestingly enough, the website lists an email and a phone number which you can contact for any questions. I decided to phone them and it goes strait to a dead number, hanging up strait away. I then sent an email but got a response saying that the email domain can't be found or doesn't exist. This possibly means that they've deactivated all contact details other than the address they've listed on the website, which just leads to the office of the parent company. So, I think the park is a ghost project or possibly an investment scam at this point. No details for a long time, nothing on the social medias for a year, avoiding public communication. 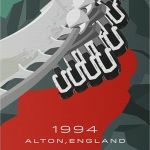 I truly believe the project to be dead and as much as I would like a Universal/High quality park in the UK, I have major doubts that it will be happening anytime soon. Thats interesting, the email at the bottom of the site is for londonresortcompanyholdings.co.uk - I dont think that was there before. A whois search also shows that the website has never been registered before. Looking up a old copy of the website (captured in August) via the internet archive, the number and email, as well as post address has changed. I am 92% sure that this won’t happen. I mainly think that this is as the people running in bit off more than they can chew. A small park may work, which is what I want to see, may work. London Paramount is going to be more than just a theme park. Included within the current proposals are plans for a whole resort full of a whole range of facilities and attractions to make London Paramount a true entertainment resort and holiday destination for people from the UK and abroad. A 25,000 m2 Waterpark - stated to be a 'unique visitor experience', and plans state that the area set aside for the waterpark does not include any attached hotel suggesting we perhaps could see a Splash Landings style hotel/waterpark arrangement. To support the resort, up to 14,000 parking spaces will be created, with the possibility of some being in the form of multi storey car parks, as well as a range of other transport infrastructure. If all this becomes a reality, it will be a fantastic resort, which will offer a range of varying facilities and activities for guests to visit and enjoy. I myself am quite interested to see the type of shows that will feature in the theatre as that is a significant capacity to fill. What does everyone else think about the proposals for the resort? Is there anything extra you'd like to see? That just makes it sound ridiculously ambitious. Last edited by Sozzy40 on Wed Oct 24, 2018 8:22 pm, edited 1 time in total. Not sure of this link will work, not been on this site for very long, but this looks pretty promising.